Habib Metro Bank is inviting applications for Habib Metropolitan Bank Jobs 2019 Trainee Officer Branch Operations. 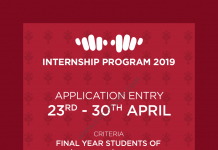 Habib Metropolitan Bank Limited announced career Opportunities first for Habib Metropolitan Bank Trainee Teller Jobs For Batch 2019 and now require applications for Trainee Officers Branch Operations (OBO) across different cities of Bank’s Network. 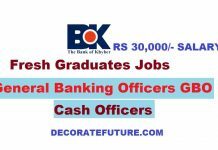 The Latest Advertisement and information of Trainee Officers (Branch Operations) Jobs for Habib Metropolitan Bank Limited Batch 2019 Latest are available below. 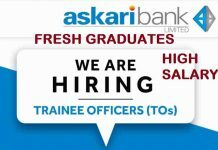 Habib Metropolitan Bank required Applications from fresh and energetic candidates for Habib Metro Trainee Officer Branch Operations (OBO) Jobs for the batch 2019. In order to meet the branch network expansion needs, Habib Metropolitan Bank Limited invites applications from young and energetic fresh graduates for the position Trainee Officer Branch Operations to be posted in branches of cities across Pakistan. The Monthly Starting stipend Will be 35,000 PKR. The Candidates will be appointed as Trainee Officer Branch Operations (OBO) in Officer Grade 3. After the training, they will be appointed as a regular employee. To provide support to the branch by performing core banking responsibilities in functions including but not limited to account opening, clearing & remittances. The objective is to ensure seamless customer experiences according to service quality standards of the bank while complying with internal bank policies and procedures. 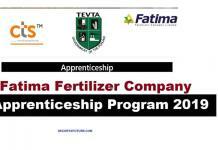 Candidates who have Final Transcript or Mark sheet are eligible to Apply. All candidates will Undergo initial screening followed by shortlisted candidates for final interview. The selected candidates will be appointed as Officer Branch Operations (OBO) as Officer Grade 3 & with Six Months Probation. During this period an extensive 4 Months on Job and classroom training will be provided to the batch all areas of Cash function. Upon successful completion of the Probation period, the final assessment will be conducted and those who are successful will be confirmed in the bank and will be awarded a Flat increment. Finally, the selected candidates will be required to execute a THREE MONTHS MINIMUM SERVICE AGREEMENT WORTH RS 100,000 applicable from the date of joining. The bank will reserve to right to transfer the officers to any of the branches within Pakistan. The Subject Line should contain Trainee Officer Branch Operations and your city name in which you want to Apply.